This paper addresses philosophical issues concerning whether mental disorders are natural kinds and how the DSM should classify mental disorders. I argue that some mental disorders (e.g. schizophrenia, depression) are natural kinds in the sense that they are natural classes constituted by a set of stable biological mechanisms. I subsequently argue that a theoretical and causal approach to classification would provide a method for classifying natural kinds that is superior to the purely descriptive approach adopted by the DSM since DSM-III. My argument suggests that the DSMshould classify natural kinds in order to provide predictively useful (i.e. projectable) diagnostic categories and that a causal approach to classification would provide a more promising method for formulating valid diagnostic categories. During the 1860s, Berlin’s exterior physiognomy transformed radically. The city eroded the surrounding rural areas, and the frontiers of the old city centre were abolished. These transformations led to the disappearance of the visible frontiers that once demarcated the limits of the old residential Prussian city. In this context, the description of the clinical picture of agoraphobia by the Berlin psychiatrist Carl Westphal in 1872 marked a turning point, not only in psychiatric theories on anxiety but also in the conceptualization of our experience of space. In this paper, the authors trace the emergence of a new psychology-neurology episteme during the last third of the nineteenth century; and they argue that such an episteme became possible once the relations between anxiety and modern city-scape had been clearly articulated. We recount how Jean-Étienne Dominique Esquirol (1772–1840) gradually changed his position towards what Philipe Pinel (1745–1826) referred to as mania without delusion. Between 1805 and 1838, Esquirol moved from outright rejection, questioning the very idea of insane persons committing motiveless acts of violence without delusion, to relative acceptance. He eventually incorporated the clinical characteristics of mania without delusion in his description of homicidal monomania, dividing them between reasoning monomania and instinctive monomania. We examine this change by detailing each of Esquirol’s points of disagreement, which decreased sharply between the completion of his thesis in 1805 and the publication of his chapter on homicidal monomania in 1838. Combat stress cases were traced in historical texts and military manuals on warfare from the Middle Byzantine period; they were mainly labelled as cowardice. Soldiers suffered from nostalgia or exhaustion; officers looked stunned, or could not speak during the battle. Cruel punishments were often enforced. Suicide and alcohol abuse were rarely mentioned. The Byzantines’ evacuation system for battle casualties was well organized. Psychological operations were conducted and prisoners-of-war were usually part of them. The Byzantine army had ‘parakletores’, officers assigned to encourage soldiers before combat. The leaders dealt with combat stress by using their rhetoric skills and emphasizing religious faith in eternal life. The treatment of the ‘cowards’ was rather similar to modern war psychiatry principles of treatment. No description of PTSD was found. Our aim is to investigate two major tendencies in nineteenth-century Brazilian alienism: mentalism and organicism, by conducting a descriptive study of original Brazilian documents on medical health treatments in the 1830s, 1840s and 1850s. Primary sources of Brazilian alienism were theses, memoirs, official reports, and documents written by clinicians and asylum directors. We analysed early mental treatment in Brazilian lunatic asylums, exploring the relative contributions of two main theoretical orientations: moral treatment (based on Pinel and Esquirol) and ‘medical-organicist therapeutic orientation’. Intertextuality was used to assess reports of medical organicist treatment in Brazil. We concluded that contemporaneous textual sources indicate that mid-nineteenth-century alienism in Brazil was predominantly influenced by organicism exported from European countries. Pinel’s mentalist view, nevertheless, remained the reference point for clinical issues associated with the doctor-patient relationship. The University of Padua has many legends about its cultural heritage. One of these concerns a collection of eight skulls still preserved in the Hall of Medicine at Bo Palace, near the old anatomy theatre built in 1545. It is said that some famous professors of the University donated their bodies to medical science, and the skulls were from these bodies. 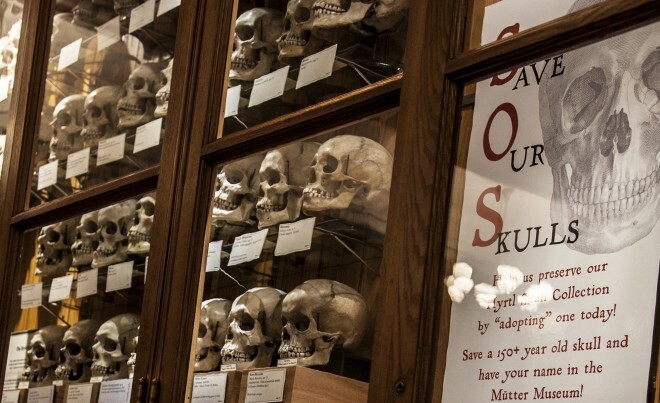 From multidisciplinary research, both historical and anthropological, we have discovered that Francesco Cortese, Professor of Medicine and Rector of the University, started this personal collection of colleagues’ skulls, although they had not donated their bodies to science, so that he could make his own detailed phrenology study.